In the world of the unseen, the spiritual realm is made in layers. We walk through worlds all around us, the Earth has many spiritual realms. Many mini realms within each layer, and in each mini realm, hundreds, some thousands, rooms so to speak. Many different types of spirits within them. Knowing the earth’s spiritual planes, helps to understand how this all works. All of the religions had their own way of conveying this. In Vedic teachings, they showed discs layered on top of one another. In Christianity, they portrayed it as a hierarchy. And in Kabbalah, they were showing something very similar to the Hindu approach, but each one had their own way of showing it. They all used a symbol of their own too, but the symbols were closely tied together. 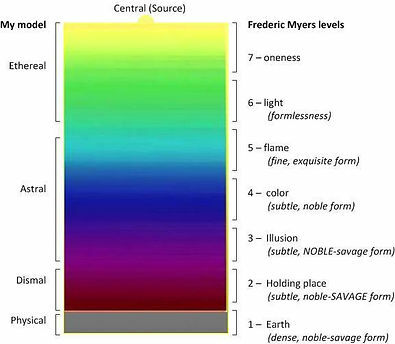 I will be using “spiritual terms for those who will not understand this at all, so let me start with, the spiritual layers of the earth. Keep in mind that I have said, all heavenly bodies are the celestial host. With the many layer here of the main realms, there are 7, there are many mini ones in between. However, the structure of the earth is divided into the air and atmosphere, all of the layers of atmosphere are working with containing spirit, and acting as a movie screen so to speak. Core: is the reflection of the hologram, the generator of the solar energy needed to project it. Mantle:, Crust, Lithosphere, & Asthenesphere- These layers are the body of the spirit. It is Gaia, and she is alive, an organic ship that we live on. In the material present on those layers, energy is emitted so that we can have light reflect off of it, as well as heat from the inside, to project the environment above it. Troposhere- Thermosphere, are the screens of which the “reality” is played on. Biosphere- This is the space in between of the heat, and light, that is reflected off of the “screen” above, to see the reality. To experience it. All of these layers work together in this reality. And, in them exists, the Elohim. All of the layers, are particles of light, of all sizes, that are really souls, who make up the screen as they work together as a whole. 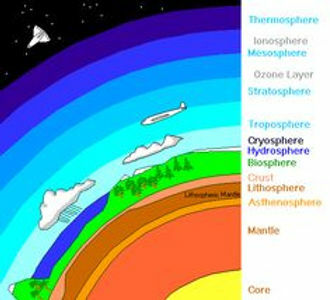 But, those layers are merely the souls who are the projected holographic atmosphere. Within, there are many realms or planes, of existence. Still, back to just the holographic layers, Enoch was the only man to “see” this all while he was still in this reality. He went on to become a part of the hierarchy later, because as he was shown the truths, he expanded his energy so much, that he began to grow bigger, until he was too big to fit here, and needed a bigger reality to fit into. The angelic realm. But, now, incarnated beings who were already awakened, and remember the events of their descension and incarnation, can give perfect detail. What I am giving is merely a small portion of it. But I have more. That will come later. Too much info all at once, may be a lot to take in and process. Lets stick with a basic perspective for now. Each layer holds spirits of all sizes. The little ones gather together to make up the larger. So one tiny speck of light working with others, makes up an entire being, much larger in those layers, which is the Angelic Order of Earth. They act together as the screen. Some can choose to pop into this reality, and be born here, or manifest here. Those, of the heavier vibrations are known as the lower realms. They are considered “lower” not due to evilness, but because their vibration is slower, and more materialistic, as they are closer to that part of the reality, being in a denser atmosphere. Each layer of the air, earth and elements inside of it, is an atom of light, a soul. The elements and atoms making up nature, are fairy souls. Those in the ethers, the layers in between, are angelic beings called Earth’s Archangels. Then there are the astral realms from which other spirits and thoughts come into play. Thanks to them, we have a reality to reside in. Now we come to address the lower realms. What is the Demonic realm? How did evil get here in the first place? Is it necessary for earth? First of all, hell is not below ground, it is in the layer of air or dimension that you walk through everyday, those powers that be that teach only masculine wisdom, logic without a balance of emotion. Those who went awry, and took over in control, and blocked everyone from their higher selves..
That is why it was thought of as below, because we are right on top of it, etherically. The spirits there are spirits of all kinds and there are more than just one astral realm. There are several. The entities in those layers, are all mixed up. Some are of a lower consciousness. And I will tell you why. Evil came from unbalanced teachings that were taught, good to start, but humans were not ready at that tie. They misunderstood what was being taught, and the confusion, led to delusion. That led to them being stuck, in where they went as a soul due to being caught up with other materialistic, fleshly things, that were given to them. These were things to advance with and enjoy as they encountered creation, but they did not understand some of those things, and abused them. The abuse had them become infatuated. That made them slow down their thoughts and vibration. Like attracts like, so once they passed from this reality, and their desire to want to stay based on their wants, and attachments, as well as the confused state they were in, fear over dying and leaving people, places, and things behind, they ended up stuck in the layer closest to here, instead of going home. This is why in the Book of Enoch, the Creator said “Humans and their offspring would be considered “evil” spirits from that point forward. What is evil? The definition of evil is, immoral, dishonorable, and malicious. Maliciousness is a result of selfishness. That is where evil started. At least in that realm anyhow. (Enoch Chapter 15) Read into it. No wonder this book was hidden for so long! It was utter truth. Just like humans liked control on earth, they had to have it in astral too. They began establishing orders, just like on earth, with Kings, Dukes, etc. Thus, the teachings of Goetia come into play. However, mankind didn’t want to take the fall. C’mon, this is coming from a species who allowed their selves to believe that earth is the center of the Universe, and only humans exist in the entire Universe, which is full of dimensions, planet and galaxies. So, they wouldn’t say “Hey it was us, our immoral concept of truth, and desire for control, made evil exist”. Think about it. How wold a perfect creator come to ever create evil? And what would be the purpose of it? No, there was a balance of contrast. Negative energy, and positive for the Universe. A middle way. Both helping each other to learn. It was only when those teachings reached people who were not ready for it, that is was misinterpreted, and thus evil and delusion began. Those are the spiritual layers of earth.. 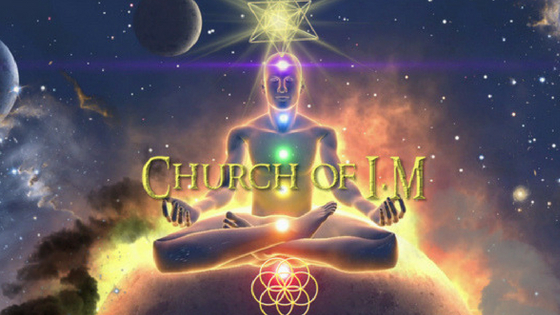 The hierarchy goes like this: Inner Earth beings who help make up the core. Gaia’s body, made of lower vibration atoms/spirits. Then, we have humans, and larger beings, such as animals, insects, plants, and etc, not to mention the microscopic worlds of animals. Then there is the astral layers full of evil ex-human spirits, whose deeds, and mind set, kept them there. Then the dream and thought worlds. That is where any idea you or I have ever had, has come to life in its own right, there. There is a layer that is like a back up drive containing all of the events in time, forward and backward. That is made up particles of our souls, that we used to think or feel over those vents, or pumped time and energy into.Then, there are the astral realms of reincarnation, souls waiting for another life, a place of rest for those on their journeys. Next are the angels, and bigger angels outside of that in the top atmosphere in earth’s layers. In them, are blueprints, designs, codes, and memory. They also contain the laws and order for this material plane. Man can never be above that though. That is how works here within this orb of life, and spirit. And, this orb, makes up more in another set of layers in the Universe. There are many heavens indeed. Another way of looking at it, is through the perspective of the diagram below. All different vibrations, working together, parallel to one another, all around in the air surrounding us. 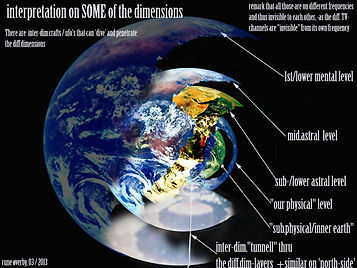 The layers of earth start with denser vibrations, and work their way up to the more etheric. We live in the midst of it! Spirit is all around us, and within us. Because just as earth is a screen for our reality,.. We are the screen for something else. All is spiritual! The vibration of earth, in which light passes, is the flower of life. That is why it was so sacred here to the ancients. That “screen” is the vibration, and that vibration makes the pattern as I spoke of in the “angelic realm” page, but only of, the Flower of life. Amazing as it is, we live in an energetic digital Universe. Your body, this planet, all codes. It is called the blueprints of creation. There are beings who incarnate here who have them, I am one, and no doubt there a few others. But, what many do not know, is that what humans live in now, is not the original matrix, or aka, DNA of the Planet. The original matrix was made up of balanced souls, all of male and female perspectives. Then, other souls who were not of the same vibration and of a male perspective, entered the matirx, and everything went wrong. I will go into that, on the Awaken to Truth page. But for now, just know that a flase matrix was formed, with other codes, that are being programed even as we speak, to enslave mankind. Haven’t you noticed, that you are losing memory? Time has sped up? And many of the people out there are busy staring at a cell phone screen, TV, or Playing video games? No one is exhibiting awareness, while false teachers out there, keep hyping people who do have their pure heart still, that “all are awakening and the planet is ascending. LOL. These are pipe dreams ladies and gentleman,. Instead, as technology rises, then more and more codes are implanted, through wireless energy girds around the planet, that get into the mind, making people dazed, implanting moods, thoughts, and a trance state into people. Moral is almost disappearing. So, if that is the New Age that they are promoting, I sure do want to live in it, do you? Most of the religious documents, have been altered and infiltrated too. The book of Revelations is encrypted with their plans of a New World Order,and people think it is the great plan of God, but it isn’t. They see signs happening, and believe that they will be saved soon, but the truth is, the only changes that are coming that will be liberating, will be for those who planned it, to control the world. They have even altered the sky above us, and the whole population is under surveillance. I have known the blueprints, and also the great plan of our divine, and this isn’t it. To be free, one has to truly awaken, not awaken to the new agenda being pumped out there into the minds of people who have emotional trauma, disabilities, and have been outcast, because they are the meek, and the agenda does not want to really inherit the earth. While your inheritance is stolen for you, you read about false promises, and on how you can become superhuman. They never had it in their plans for you to reach that status. The “little people” are their sheep. If you are awake, you will not follow. New Age is a biggie they use to promote these false teachings. And any movement approved, and making sweeping change across the world, you can believe has government backing. Why allow yourself to misled? So, now we have the issues of trying to read holy texts, but needing to be able to see where the original information, truth is still there, and where the lies have been implanted, its hard for many. But I really do try to help. Many simply do not listen, and “they” keep me limited in my mission. They do not want me to awaken others, to the real truth. 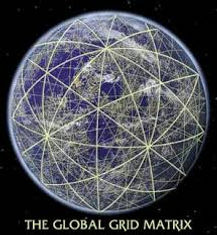 Earth’s false matrix is made of a series of energetic false leylines, on top of the original ones, but at a lower density of energy. Why else do you think they have so many satellites? Its not all for cell phones and media. With their technology, they have ones that can cover huge areas, so why the thousands of satellites? Because they help in making the energetic prison bars around mother earth, that exist now. While all of this may sound radical, it is true, using your own common sense, you will see. The false matrix, will be a hard one to bring down. And they are monitored. CERN made sure of that, as well as other companies. So, there are many out there claiming to channel, and reaching the major Archons of those portals and energy lines instead. Some are not even spirits, but government entities that invisibly and holographically spy, and since you do not know this, you think it is a haunting. Spirit and technology are greatly being confused. Some even say spirit never existed, and that we are energy in a computer program, that all we see is fake altogether. The entire universe is merely a continuum of energy that is sentient, and all having experiences, some making the experiences, and some living them out. That is what I saw in my angelic journey. Bubbles, within bubbles, of all sizes, expanding all the way out as far as infinity. That is what it is. 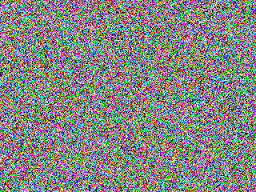 But there are digits, and those digits can be converted in several ways, all for a small to infinite dreamscape. So, it is real, but it is a real “thought” everything that you see, and do not see, is a thought in the Universe. In order to change this false matrix, “The Hijacked Dream” we are all in right now, is if more and more can awaken t truth, but deceit, ego, greed all play a huge role in preventing it, which is why that is all you see on Television, Movies, Music, and so on, it was to continue programming people, conditioning them to those ways, so that they enjoy pleasure of the environment, rather than having a true experience, full of their dreams, or their real selves, and believe me, what your true self wants, is totally different from what this programmed you wants, and many out there never make it, due to not being able to surrender to their true goals of their true self. The Dimensions will be a little more difficult to explain. The reason is, well its hard to explain something many have not seen. It would be like telling a person born blind, what the color blue looks like. It’s true… But I can always try. When I got this all from Metatron, the keeper of the blueprints, he had shown me, which helped me to understand more, so perhaps there will be a way that I can show you.. The first dimension is merely a point, a spot, a speck in existence. Now like all energy, it will have to expand. 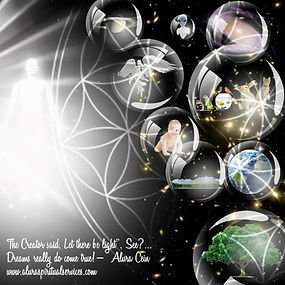 Energy is light, light is consciousness, again and again I say it. So as all energy and consciousness ascends, so will this speck. After that, it turns into an expansion, it stretches outward. The flat plane of existence. Now, for it to be 3D, it needs height, width and depth.So, the expanded energy now changes course. It obtains an expansion outward, and upward, making it a have not only width, but height, what is filled inside, will give it depth. The filling is more energy, more consciousness. Then, it needs to be able to expand, but in a continuum, so another stream of energy is added going in the other direction, so that this 3D figure, can leave a trail in the past, be in the present, while having the ability to expand into the future too. In a darkened space, there would be no visible direction. Space was need for growth, but the light would mark the spots of it. Like a painter who is sing a dark canvas. It splashes the paint, some spots bigger and some small. It gives the appearance of depth. Once there is dept and direction, it can be filled, and traveled. So, I ave taken you to 4D so far, but for one moment, how does the 3D figure know to travel forward of backward? When it can only ever be “Right there”, the present, or in that one spot, because the canvas seems to have limits as it is only 2D with an appearance of being 3D? Well, that 3D being has to “believe it is”. Plain and simple. It’s conscious, is its program, and it will fit any environment that it is placed in, to “think it is moving, but really, it is illusion. The being always stays in the same place, only it visualizes it is moving through time and space, to have the experience. If that is so, then why do people moving around on this earth, all seem to see the same thing? Why do they all move around in this pretend space and it seeming very real? They all share the same program. Like 4 players in a virtual game, they will all experience the same thing, moving and operating, in that game space, without ever really ever having to move a muscle. Its the same for 3D people. 4D people can not only experience moving forward in space and time, but they have the ability to move back. Where as 3D people do not have the space in space and time. 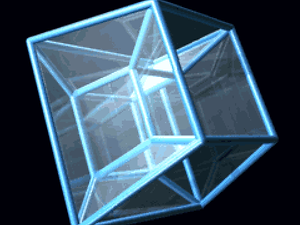 Now in 7D, it changes, your energy body of 3D is now able to not only go backwards, forwards, side to side, and up and down, but it is able to loop back through all of that. 8D is experiencing that in all planes of existence. It is quite complicated. But its true. The dimensions go all of the way up to 13 not 10 like some say. 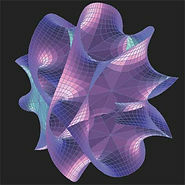 And if an 8D being is everywhere all at once, and on a loop, then imagine what a 13th dimensional being is like. That is why the Creator hears us still being as small as we are here in 3D form in 4D space. The Creator is everywhere all at once, but at all sizes that can fill the spaces and time. The merkaba, is a star tetrahedron, this is representative of something, in ascension. They say many things out there online, but I know the truth of what this is, and it is not as they teach. It is something else, and it can not simply be activated miraculously. You have to ascend your consciousness first, to a specific level, and then..activate it. But to begin, bring all of the unlimited possibilities, of the left, the right, the above, the below, the past, the present, and the future, and how it all comes together in plane of existence that you are in. To be aware of it is too see it, to know, and to live in it, while still be conscious of the space that you are in, so the ascension never meant leaving this space, it only meant recognizing all of your aspects and forms within it.